Note: This post has been contributed. If your car is looking a little worse for wear, then now is the time to give it a little TLC. If you don’t then this could lead to a ton of issues later down the line and you may even end up with repairs that you can’t afford. If you want to get around this then there are a few things that you can do about that. Your car battery should always be your first priority. In winter, your car is having to face very cold temperatures. This, combined with the increased use of lights, heaters and even blowers can put it under even more strain. Batteries do tend to have a very good lifespan and they can often last way more than 5 years, but if you are having problems or if you suspect that yours is at the end of its life then now is the time to get that checked out. If you ever find yourself with a dead battery then it is possible for you to jump-start your car, but you should avoid doing this where possible as it can degrade your car if done too often. You might want to look into battery venting as well. Your engine coolant should be a mixture of 50% water and 50% antifreeze. You will need to top it up as it will become diluted over time as well. So many people make the mistake of topping their engine up with water throughout the year and this can reduce the amount of antifreeze. This can lead to freezing, which in turn can make your engine overheat. Avoiding this repair is very simple to do, and by taking the time to monitor your coolant, you could save yourself thousands. Your car’s tyres are the key to steering and braking as well. It is super essential that you keep them in very good condition. It’s recommended that you have around 3mm of depth on your tyre treads during the winter. This will give you way better grip when you are out and on the road, and it will also help you to avoid skidding when driving on sheet ice. Reflectors can get dirty over time, and the last thing that you need is to have them dimmer than they should be in winter. It’s a good idea to check to see if your rear reflectors are clean and to also make sure that you have no cracked lenses or even blown bulbs. Checking your full-beams, fog lights and even indicators is also a good idea. It’s very dangerous to drive in winter with dull or even dirty lights, and it doesn’t take much to clean them out either so take your time and make sure that you do the job properly. You never know, it could save you from having an accident, especially if you frequently drive at night. Sometimes life can throw you off course, and you may find yourself in a situation where you need money quickly. Those life emergencies can make a real dent in your wallet, so how can you make money when you need money now? It’s the quickest way of getting money, but like a credit card, you always need to remember that it was never your money to, begin with. Loans can sometimes be quite risky, especially with the chance of hidden costs or dodgy loan companies charging high-interest rates that leave you vulnerable to loan sharks. Only get one from a loan provider that you trust, and that’s reputable to others that you know and pay close attention to any interest rates or length of re-payments. There’s now plenty of online websites that pay individuals to fill in online surveys, which is great for a little extra money on the side. The payouts aren’t usually that substantial, but if you have lots of spare time, you can make a nice amount of money in a short space of time. Surveys will often be on a range of subjects and the more tailored and niche they are, the more likely they’ll pay a little more because the requirements of the person are much rarer to find. In the digital world, individuals are now beginning to make money and craft their own careers online through a blog. Brands and companies alike are flocking to these individuals who influence other people to work with them on paid sponsorships, gifting reviews and advertisements. So if you think you have that creative flair and knowledge of a particular area that you can write about, this can be a great way to make some serious money. With hard work and perseverance, it won’t take you long either. There are now so many apps available, where anyone with a useful skill to another, can offer their services for money. It’s a great way of earning some extra cash! There are platforms like TaskRabbit where you can set up a profile within seconds, set a rate and your skills and you’ll be reachable instantly. It’s also flexible so you can often work it around another job. So why not give it a go if you have the spare time? There are so many more ways out there to make money quickly. You just need to have the motivation to find it. When the winter comes, there is a general feeling amongst us of sluggishness. Why bother going out, when you could just stay inside and relax under the duvet, re-watching shows on Netflix that you’ve already seen 100 times? And whilst we all like to have a lazy day, they soon get old. In fact, winter can leave you with pretty bad cabin fever, and you can struggle to remember the last time you went out that wasn’t simply to go and pick up some comfort food. We’ve made this guide, so that you can make winter fun again, without going through the traditional snowman-making, Netflix-watching cycle, over and over again into infinity. You’re welcome. Ok, when you think of road trips, you probably imagine those summer drives, with the windows down, the sunglasses on, and the summer songs blasting from the radio. However, road trips should never be confined to a specific season (well, we don’t think that they should). As long as you’ve got a car that was manufactured in the last 20 years or so, you should have air con and some means of keeping your passengers from turning into ice blocks during your trip, so why not make your winter fun by giving this a go? Whilst you’re probably not going to be able to wind the windows down, you could think up a rough route of where to go in the winter. Why not do a museum or art gallery road trip, where you go from indoor-fun-establishment to the next? You’ll get to see the world in all of its winter glory, and you can see some beautiful wildlife and sights, no matter what season it is. If you want to take it a step further, you could even get your hands on some festive music to set the mood, and you could definitely go on a winter walk if you dress appropriately. Ok, it’s not the summer road trip you’re used to, but it will still be great, and you won’t have to splash the cash. Again, you may associate going to an amusement park with the summer, but this doesn’t have to be the case. In fact, many amusement parks have seasonal events on, such as Halloween fright nights and Christmas-related days. You could have a lot of fun eating some delicious warm fairground food, and going on all of the rides, as long as you’ve wrapped up warm, that is. We’d probably advise that you pass if somebody asks you to go on the log flume, or another water-related ride, but other than that, you’re all good. If it tickles your fancy, places like Disneyland actually look better in the winter (well, we think so) and everybody is feeling especially festive, so there will be no pushing and shoving when it comes to getting on the rides first, and no amusement park injuries ruining your Christmas (hopefully…). Most parks are open all year round, but have a look at opening times before your visit if you’re thinking about giving this a go. Of course, if the weather is pretty extreme, you might want to give this one a miss. If the weather is really bad, and you’re not looking to leave the house anytime soon, then getting creative could rid you of those winter blues. Think of something that you’ve never tried before, like painting or writing, and give it a go! Most of us have lots of creativity that we’ve never tapped into, and trying your hand at these things will not only fill those dark winter days, but will also improve your mental wellbeing, and you’ll feel great when you’ve made something yourself. There are no age limits on creativity, so no matter what your age is or your job role (high earners, we’re talking to you) you should still give this a go. Why not try to make something like your own cushion covers? This isn’t too difficult, and it will give your home a new lease of life, in the face of those winter nights. Everybody will be asking where you got your furnishings and paintings from, and your answer will be: ‘Ah-ha! I made them myself, and they’re one of a kind.’ Honestly. You will feel that cocky. This is another one for those who are not quite ready to leave the house yet, and you’ll get a lot back from this (including a few pounds on the scales, probably). Winter is the perfect time to try out those warm, carb-heavy bakes that you’ve been meaning to try out for a while. Get a recipe book, and make something seasonal if you can. This will also help you to bring the family together around the table, and they’ll love your new food as much as you do. For most of these recipes, you’ll probably already have most of the ingredients in your fridge or pantry. If you’re going to make gingerbread, for example, you only need to have things like flour, butter, sugar and cinnamon (ok, and a few more) but you’ll create something that is priceless. You could also try your hand at making a warm winter stew, or anything that your family would appreciate after a long day outside in the cold. If you’re not usually one for cooking, then there’s always time to start, so put the TV remote down and get baking! If you haven’t been to the theatre in some time, then winter could be the time to get that fancy outfit out again, and make a night of going to see a show. One of the best things about this is that it is indoors, so you’ll have to make a quick dash for the subway or a cab, but you’ll get to enjoy the warmth of being surrounded by other (similarly well-dressed) people, which will also be good for the cabin fever you’re probably suffering with. Having a meal beforehand is also a great way to make a day out of your theatre trip. You don’t need to go and see a Shakespeare play to get those brain cogs turning, and there are loads of things out there, whatever your taste may be. From Broadway musicals to Christmas plays (hello, A Christmas Carol), you’ll find something that will make you feel warm inside this season, and the beautiful theatre bar will also be worth spending some of your hard-earned cash on. Basically, there's nothing bad about the theatre, especially if you get to wear some fancy winter clothes. Winning. There are many ways to make winter fun again, and it doesn’t always have to mean watching reruns of your favorite shows. You can go on a road trip, and see the beautiful sights that winter has to offer, some of which you would have never expected, so go via a forest if there is one nearby. Going to an amusement park is also a good idea, as there are many seasonal events on, and getting creative could help you to learn about a skill that you never knew you had. You could also try to bake some festive treats to share with the whole family (or not…) and you could treat yourself and your loved one(s) to a trip to the theatre. Whatever you choose to do, have fun this winter, and make sure that you make the most of it! Happy holidays! Regardless of how big or small your budget is, the important thing is how well you manage your money. And most of us are guilty of overpending on some things- socialising, clothes, technology and other luxuries probably spring to mind. But there are others that you might not even realise you’re overspending on, here are a few examples. Take a look through your bank statement and add up everything you’ve spent on food and drink. Groceries, coffee and drinks when you’ve been out, sandwiches and work lunches, takeaways and naughty treats like cakes and donuts. Chances are, you’ll be surprised at just how much it comes to. As humans, we’re programmed to love food, and we live in a world where it’s just so accessible. But overspending on it can be bad for our waistlines as well as our wallets. It makes much more sense to plan carefully, and make as much of our food at home as possible. Create a weekly dinner menu, and then shop based on this so you know exactly what to buy. Leftovers make great lunches, whether it’s a portion of bolognese or lasange heated up in the microwave the next day, or leftover chicken or meat thrown into a tasty sandwich with some salad. Stock up the pantry with long life ingredients so you always have a few staple items for meals on hand- tins, jars, sauces, seasonings, breakfast cereals and grains are all examples. When you make your own food you save money and can control what goes into it, making it easier to live more healthily too. Buy a flask and take your own coffee to work, and spend a little time on a weekend planning for the week ahead so you know what to buy. When it comes to bills, it’s easy to think that they cost what they cost. However, the simple act of switching tariffs or companies could save you literally hundreds over the course of the year. Do your research, use a price comparison site to find the best deals and give the company a call. Search sites like cheapautoinsurance.co to see if you can bring down things like your car insurance. Another way to save money on your bills is to use less energy and water too, small lifestyle changes can all mak a big difference. Switch your bulbs to LED varieties, and turn off the tap while you’re brushing your teeth. It doesnt need to be extreme! Digital subscriptions can be really handy. You have Amazon Prime for your shopping, Spotify for your music and Netflix for your tv. You have magazine subscriptions, website subscriptions and more which can allow you to access the things that you want online. However, most of us don’t use them as much as we should- and therefore are wasting money by having them. It’s nice to have the luxury of having them there ‘just in case’ but try cancelling them. If you don’t miss them after a week or so then save your money! Money is a source of torment for a lot of people. This essential resource isn’t easy to come by, with the work you do never seeming to be quite enough, and the cost of living always going up. Of course, with all of this in the background, it makes sense that a lot of people feel miserable when they consider their financial situation. To help you out with this, this post will be exploring some of the best ways to take this element out of your money. In most cases, dread and stress are directly caused by things which you can manage. Budgeting/Saving: When you’re able to afford to live, you can usually find ways to save enough money to start building a bit of a nest egg. Instead of spending the spare money you have, you should always work towards putting it away, ensuring that you don’t have to feel stressed about money when bills come through the door. To help out with this, there are loads of smartphone apps out there which can take control of your money for you, making it impossible to spend where you shouldn’t. Taking Control: A lot of people worry about issues like the debt to the point that they simply don’t deal with them. Pushing something like this to the back of your mind is a dangerous game, though, as it will often come back when you least expect it, while also making you stressed in the process. Dealing with debt collection agencies and other nasty people is hard. With the right support and learning, though, you should be able to put together an idea of what will need to be done to take control of this side of your money. Work Out A Plan: One of the scariest things when you’re dealing with your finances is understanding the unknown. In a lot of cases, people will ignore the idea of a plan for their money, spending different amounts each week, and struggling to save towards a goal. When you have an idea of what needs to be done with your money, though, it will be easier to stop worrying and simply take action. Of course, though, you will need to spend some time figuring this out. Get Some Support: It’s easy to feel alone when you’re dealing with a part of life like this, especially with the limited help your bank will give you. In reality, though, there are loads of people out there who will be able to push you in the right direction with your money. For example, if you are struggling to put together a good budget, you could look for a charity which specialises in helping those who struggle with financial management. Hopefully, this post will inspire you to start working harder to keep your money in the right sort of shape. It can be easy to go down a rough route when you’re trying to manage this side of your life, and a lot of people make the same mistakes, even when they answers are clear. With awareness increasing in recent years when it comes to the effects of things like climate change, and more implementation of environmentally-positive things like recycling and decreasing use of plastics, it’s fair to say that things are definitely moving in a positive direction regarding taking care of the environment, but there’s still a good way to go before any major impact will be noticed rom these changes. The majority of those making or being required to make changes are private households, and although it’s great to see eco-friendly practices being embraced, if you’re a business owner, you can make a contribution, too. Below we’ve listed some tips for you to help you make your business more eco-friendly. We all know that cars are bad for the environment, and although public transport is slightly better, it’s also not great. Although it’s not going to be practical for everyone to cycle to work, it doesn’t hurt to start some kind of initiative within your company to help encourage your staff to use a more environmentally friendly mode of transportation. You may even want to incentivize in some way, such as through bonuses or even vouchers towards bikes. Many workplaces offer some kind of facilities for staff to store food and make coffee, so instead of using disposable cups, food containers, and even cutlery, you can clamp down on the plastic use by either supplying reusable containers for all staff, or encouraging them to bring their own. Some types of lights are definitely better for the environment because they use less energy whilst still offering an effective solution for businesses who need strong lighting. Whether it’s lighting to go in LED Signs for Churches, nightclubs, or simply just natural lighting for your office, it’s always a good idea to evaluate your energy usage and look at where changes can be made. Although computers of any kind aren’t exactly friends of the environment, laptops are certainly more energy efficient when compared to desktop computers since they don’t require to be constantly plugged into an energy source. Aside from the environment issue, laptops are also more practical since they’re portable, so when you buy laptops for your staff, you won’t have to get them a second computer if you need them to go on a business trip or to meetings. These tips are not only easy and effective, but they cost very little, and often far less than the less eco-friendly ways that people have become accustomed to. In order to see any real, lasting changes when it comes to the environment, of course, starting at home is great, but it really has to go beyond that, and encouraging these good practices within the workplace will likely have a knock on effect that helps more people implement changes at home, work, and even school. You certainly don’t have to do anything that’s not practical or sustainable for your business, but simply starting where you are with what you have is already enough to make a lasting difference for future generations. Managing your money is a 24/7 job. If you want to protect your finances then you need to keep on top of your income and outgoings, as we’ll discuss in this article. It’s very important to have a financial plan in place to ensure that you never have to worry about money. After all, money shouldn’t be the primary focus in life. Once you become a master of financial management, you can finally stop worrying about where your savings are going. Here are some healthier ways to manage your money. One of the simplest and most effective ways to manage your money responsibly is to regularly track your income and expenditures. Your income is probably fixed (although it could vary if you take on board the advice in the next point), but your expenses might fluctuate from month to month. The best way to ensure you know where your money is going to start budgeting yourself. Start off with your basic costs because they’re probably relatively fixed (unless you do a lot more driving or use a lot more electricity on a particular month). Once you’ve calculated how much money you need to set aside for the essentials, you’ll know how much remains for non-essentials. But you might want to start putting some of that excess income into your savings account so that you’re prepared for the future. It’s always smart to think ahead when it comes to managing your money. And, as for your basic expenses, you might be able to reduce those in smart ways, too. You could save money on energy by insulating your windows, and you could save money on gas by limiting your car usage as much as possible; walk or cycle to town instead. It’ll be good for your health. Rather than spending your money on things that add nothing to your life, you should aim to invest it in ways that could increase your overall wealth and provide a better financial future for you and your family. You might want to learn about spreadbetting if you’re looking for a good investment opportunity. Doing your research to learn about the workings of the market could really help you to make educated decisions as to how you should use your money. Investing can bring in new sources of income, increase your wealth, and help you improve your financial situation. As long as you don’t jump into opportunities without considering the latest market trends, you should be able to make sizeable returns on your investments. Keeping on top of debt. Not all debt is avoidable. Many people borrow money to put themselves through college or to afford the down deposit on their first houses. But the important thing is that you don’t take on too much debt. The best way to manage your money effectively is to pay off your debt in regular installments. As mentioned on this site in the past, debt should be avoided (wherever possible), but the crucial thing is that any debt you do accumulate is paid off on time. Don’t borrow money that you can’t afford to pay back. The rest of the financial advice in this article should help you if you’re struggling to cover your costs. In particular, the previous point should have given you some helpful pointers to boost your disposable income if your bank account is often quite empty after the bills have been paid. We are all well aware that we need to maintain a thorough exercise regime in order to keep ourselves in peak physical condition. This is why we all try to fit at least 150 minutes of moderate aerobic exercise, or 75 minutes of vigorous aerobic exercise, into our weekly routines and regimes. But did you ever consider how exercise can affect your overall sense of wellbeing? Nowadays, we are becoming increasingly aware of the importance of our mental health and emotional wellbeing, and exercise is a brilliant way to improve your overall mood. If you feel that your current exercise regime isn’t ticking all of your boxes when it comes to maintaining a good quality of life on an emotional or mental level, here are a few different regimes that you might want to try out instead! The gym is an easy form of exercise to get yourself involved with. You don’t have to rely on the presence of anyone else and many gyms are now open twenty four hours a day, seven days a week, which allows you to head to the establishment and exercise as and when you please. There also tends to be a wide range of equipment on offer, meaning that you can exercise in a wide variety of ways in a small space. One day you can focus on your arms, the next your legs, the next your core. The exercise, in general, has been found to alleviate symptoms of anxiety and depression. It also gives you an escape from the worries and stresses of your day to day life, providing you with a period where you can put your phone aside, focus on a given activity, and avoid any unrelated distractions. Team sports are brilliant for lifting your mood. So, let’s focus on basketball Why? Well, not only does the exercise itself benefit you in the way mentioned above, but seeing as it is a team sport, it encourages you to socialise and communicate effectively with others. It’s a great way to instill a little team spirit into your life, and to make new friends who you might not have ever met in any other social situation in your life. You can just throw on your basketball uniforms and head to the court. What’s more? Once you know the rules of the game, you can head to the pub or another meeting place and watch professional matches together on the television. This is a great way of mixing sport with social interaction! Different sports and regimes will prove preferable to different people. So, take on the mindset of trial and error and don’t feel like you have to stick with anything that you’re uncomfortable with. You will find something that suits you down to a tee eventually! As you can see, exercise can prove beneficial to you in more ways than working you out physically. Give the above options a chance and you should find your sense of wellbeing improving in next to no time! The first thing you need to know is that everything we have here on earth comes from God and all of our posessions belong to him. When you begin to view money in this way, it can help to relieve some of your anxiety around your finances, because you will come to realize that everything is unfolding as it should do and that your money is never really yours - not completely anyway. Obviously, we all need a certain amount of money to get by and we must all work hard and make good decision in our financial life, but ultimately God can look after our money much better than we can and giving it up to him, looking to him for advice and acting more mindfully around money will help us to have a far better relationship with it. Most Americans are managing at least a small amount of debt, so there is no need to feel embarrassed or ashamed if you too have racked up debt. However, it is worth noting that the bible is very clear on the fact that God does not want people to be in debt. Quotes like Romans 13:8: "Owe no man anything, but to love one another" and Proverbs 22:7 which states that borrowers are servants to those who lend them money make it very clear that debt is not ideal. So, if you’re currently in debt, see what you can do to get out of it fast; that could mean getting a debt consolidation loan on the web, talking to a debt counselor to help you come up with a plan, or simply tweaking your budget so that you can clear your credit card balance a little quicker. Once your debt is gone, do whatever you can to avoid putting yourself in that position again, but know that if there are emergencies and it is unavoidable, that you will not be judged harshly and you can always get back to a place of no debt again with the right effort. A lot of people make a lot of bad decisions and do things that are less than kind and respectable in order to make more money and get as rich as they can. Although it is fine to work hard and enjoy the fruits of your labor, the bible is clear that the love of money is the root of many evils and that going after wealth above all else is a bad idea. Knowing this is so helpful in life because it allows you to take the pressure off and pursue forms of work that you enjoy and which serve others, if you want to, rather than those which will make you money, but also bring unhappiness and compromise to your life. It also helps us to better appreciate exactly what we do have, which is certainly the route to greater happiness here on earth. There are countless people who would strongly disagree with this statement, but from the Christian perspective, there is nothing good about greed. There are countless bible verses that talk about the importance of charity, which show just how important it is to use your money for good. It is really helpful to give a percentage of whatever you have to those in need. Not only does it show you how abundant you really are, but it also helps others, and it makes you think more about money, what it is, how it is and should one used and how much you really need to be happy, which can help to prevent you from getting into debt or going after more money at the expense of everything else in your life. That is not to say that you should not save money for a rainy day. It is important that everyone, even Christians, save enough money for emergencies, so that they do not end up getting into debt and so that it is possible to look after oneself and one’s family, as well as the wider community. So, do open a savings account, but be as generous as you can with your money too. A lot of people in the 21st Century seem to almost worship money, They judge others and themselves, not on their character or their good deeeds, but on how much money they have in the bank. The bible is very clear that this is wrong; it says that you cannot serve God and mammon. What does this mean in practical terms? That money is a tool just like any other, and although it is pretty impossible to function without it in the modern world, you should not look at it as anything more than a tool like a hammer or a screwdriver. Or is nothing special and you should not elevate its status. It is worshipping money that leads to people being reckless, wracking up credit card debts, working themselves into the ground, lying and stealing to get more and that is one of the worst things anyone can do. The bible has a lot to say about money, but its primary message is that we should not get caught up in the pursual of riches. We should not get into debt or put ourselves into compromising situations for it. We should be careful with money, work for what we have and be generous where we can. This will lead to a healthy relationship with our finances. When you’re in business, there’s a lot you have to cope with, especially on the shop floor. You have customers milling in and out, you have shelves to keep stocked and sorted, and you’ve got your staff to look out for. Your staff are the backbone of your business, the ones who keep it turning when you can’t; because of this, they need to come first in your business plan. If you’re someone who’s looking to start a business, or you’re putting together your first payroll, or you’re just someone who’s looking to make better office relations a couple years into it, here’s the tips you need for making sure your staff are always treated properly. This equation will always be relevant to a workplace, no matter the work they do inside it. As long as you’ve got some good relations amongst your workstaff, you’re going to have a much more positive feeling whenever you walk into work in the morning. And then there’s the idea that you could even start to make some friends; just because you’re the boss doesn’t mean you can’t be approachable! People such as Yvonne Yancy strive to promote this side of the HR department, as it’s very clear to experts that always having a positive office atmosphere, and clear boundaries with your staff, is the most effective way to succeed at business. You don’t want your internal relations bouncing around all the time - it’s a killer for productivity! So make sure you’ve always got ice breaking activities whenever someone new starts, that your staff are never in rivalry with each other (friendly competition is just fine, however), and that you’re never playing favorites. If you treat your staff well, you’re going to have plenty of talent flying around, and the people under you are always going to go the extra mile for making sure customers are happy. And when the customers are happy, your profits are going to go up and up! So always keep the idea of allowing your employees to grow in your mind; they won’t treat you as a stepping stone when you put some good trust and the ability for initiative in their hands. Not to mention, having two or three or four heads on a matter is always going to be better than just your own. So be sure to hand out managerial promotions whenever you see someone show the potential to handle one. And people will be happy to take on longer, harder hours for the time, attention, and money you lay at their doorstep! You have a clear eye for talent, make sure you don’t waste any that walks through your door. Treating employees well means a company is always going to have a good business model on their side. If you’re an entrepreneur, make sure you’re playing by these rules above all else. So many of us were left reeling in the shock that, earlier this year, Anthony Bourdain had shuffled off this mortal coil. But, for all of his ventures in front of the camera, many of us still view him as one of the most authentic chefs to come out of New York City in the last 25 years. Let's not forget, he was one hell of an entrepreneur, and are there any lessons we can learn from this modern master, and apply it to our own restaurant businesses? If there's anything we can learn from him at face value is that through his show No Reservations, he was incredibly respectful to other cultures. He tried any food that was offered to him, as he knew the families that presented these strange and exotic dishes were unable to afford to eat most of the time. We can apply this to our business acumen by doing very simple things, greet the customers and show them how grateful you are that they've chosen your restaurant. And even if an employee has made a grave error, do you need to fly off the handle about it? Think twice. In life, we need to push ourselves outside of our comfort zone, and he did this with enthusiasm, unlike anyone. He was always keen to try new things, and we should all take this on board when pushing our restaurants further. Taking risks needs to be the fundamental backbone of what we do. And if you don't have a curious mindset, and you've stuck to the same menu for as long as you can remember, practicing curiosity is something we can all do; it's a matter of habit. You can look on FastCompany.com to get a few ideas of the habits of curious people, and this is what will help you develop as an entrepreneur. As he frequently admitted, he was no saint, and whatever the mistakes we all make in life, either on a personal or professional level, taking these opportunities to learn is essential to our growth and development. Whether you have made frequent administrative mistakes, or you've hired the wrong person, there are so many things we can do to build on these mistakes to improve ourselves and our business. Even from the administrative side, you can view RestaurantAccountingServices.com for various restaurant-oriented tools to improve your business. If we don't learn from our mistakes, then there is no point in us ever progressing beyond our remit. Last, but certainly not least, he was someone who enjoyed life. If you find yourself bound by the pressures of running a business, you need to take a step back and look at if you are actually enjoying the ride. This is as important to your sense of self as it is to your culinary passions. You've got to make the most of what you've got, and if you're not happy running your business, you need to change it, so you don't have any regrets. His passing has left a mark on the restaurant world, but there are so many things that we can learn from how he lived his life to improve us and our business. Are Care Homes Failing The Elderly? Care homes will be an inevitability for most people. It’s true to say that once you reach a certain age, you may not be able to live independently anymore. Care homes are typically the solution, particularly if you can not afford live in care. However, there is alarming evidence that suggests care homes may not provide the level of support that elderly residents need. New reports have emerged that suggest care homes are falling short where it counts. When you admit an elderly loved one into a care home, there are often two types of care available: respite and nursing care. While one provides complete support, the other operates more as a basic level of care for residents. Many elderly patients are physically able. This means that they do not need constant support and attention. Instead, they can move freely through the care home which is useful, particularly in more deluxe locations where there are facilities like cinema rooms. Nursing provides a more intense level of care with constant support, treatment, and aid every hour of the day. The issue? It’s in the care home’s best interest to mark most residents as eligible for respite care. This means lower costs and a lower level of employees are needed. It could be a way to keep a budget in check, even if it does leave someone vulnerable. That’s exactly what can happen with residents suffering injuries when they should have been monitored. Reports have also revealed that staff numbers in even the best care homes are often limited. This again impacts the overall quality of service and means that patients can be neglected in a variety of ways. You might find that your elderly parent is suffering from bedsores which a care home will tell you is perfectly normal. However, this can be avoided if an elderly patient is moved regularly and readjusted. Many employees won’t bother or won’t have the time to do this, particularly if the care home is understaffed. Of course, you also might find that staff will refuse to go the extra mile for residents. Particularly, if they are booked in for respite care. Even medical health issues may go unchecked until a relative notices. There are plenty of residents in care homes who are unable to communicate due to medical conditions such as a stroke or dementia. If a patient is unable to communicate, then this can leave them vulnerable and at risk of neglect and abuse. Since a patient can not communicate effectively, these issues also go unnoticed and unreported. It’s a dangerous situation and neglect or abuse in care homes is a serious problem. These days, it’s common for care homes to have CCTV throughout the premises to ensure that any issues like this can be caught. It seems then there are a wide range of issues currently plaguing the care industry. However, with live in care often being too expensive and a growing elderly population there isn’t a solution on the horizon. Depression is the biggest creator of negativity in life. You don’t have to be diagnosed as depressed to suffer from the negativity that depression brings. Being stuck in a terrible situation and experiencing the symptoms of depression is enough to trap you into a cycle that feels unbreakable. It can lead you to fail at meeting the responsibilities that you have in life, make you feel like you’re not enough and that you’re not strong enough to handle the things that life is going to throw at you. Your mind wandering is a dangerous thing, because it can lead you down paths that are too scary to deal with and that you just don’t want to. The worse you think about yourself, the bigger the cycle of negativity gets. You can go from thinking about not feeling enough to believing the world would be better off without you. This can lead to feeling guiltier and guiltier about your own existence. If you are in a situation in your life that makes you feel vulnerable, whether that’s being unemployed and struggling or a domestic violence victim trying to get out, you’re going to spiral. This cycle of negativity is exceptionally hard to break and while you’re so exhausted by your own emotions, you can feel numb to anything that constitutes moving forward with your life. So, how do you even begin to break that cycle? Living by a schedule and in a solid routine can really help you. The people who suffer with depression are not the best at making decisions, because really, they just don’t care. They’re not trying to feel depressed, but they do better with a routine in place. A visual routine chart can make a huge difference to the day, so creating a schedule with alarms alongside it and sticking to it is going to make all the difference to your life. Committing yourself to this schedule is so important for you to be able to break out of the depression that you feel. You’ve got to keep it as simple as possible and your routine should be very basic, very much surrounding your eating, exercise and your daily responsibilities. You need to eat, even when you don’t feel like you can, because food gives you energy to keep going through your day. Energy is the biggest thing that depletes when you are dealing with depression, so it can be extremely difficult to want to do anything relating to movement or food; because it just seems like too much. You have to hold yourself accountable for your feelings and your actions, because if you don’t, you’re not going to survive it. Own yourself, own your schedule and make it feel right. Once you feel more secure, you can break free from those negative feelings dragging you right down. Set small and manageable goals, and you will be able to hit your achievements far better and far faster. Remind yourself that you CAN do this, and then go and do it. We hear a lot about prisons in the US and most of the coverage tends to be negative. There are many reasons for that, but many people still don’t fully understand the specific problems overwhelming the prison system today and why these issues are so pressing. Change in certain areas is certainly going to be required to make the system more functional and sustainable going forward. So keep reading to find out about the biggest problems today. Even though crime rates in America have been falling for a few years, this has not led to any decrease in the number of people being incarcerated in America. This is a strange problem, but one that gets to the heart of many problems in America. Prison target should never come before justice. In a healthy society, a fall in crime would lead to lower rates of people getting locked up. There is a clear disparity between black and white inmates in prisons, with the former being more overrepresented in prisons than the latter. The numbers for incarceration rates along racial lines are worse today in America than in Apartheid South Africa, so this is clearly something that needs to be taken seriously and hopefully addressed. It’s a huge problem though, so it won’t be easy to overcome. There are now a significant number of people in US prisons serving life sentences for crimes that were completely nonviolent. Many people question the worth and reasoning behind this policy, and whether it’s the right thing to be doing. The belief that only people who’ve committed violent crimes should serve life in prison is growing in popularity. There are many campaigning for the situation to be changed. When people don’t even understand the bail bond system, it’s pretty evident that there are ways the system can improve. There are also some inconsistencies that people have highlighted in recent years. Luckily, there are organizations like Alamo City Bail Bonds that can help people to navigate the process when they’re having difficulties or don’t know where to start. It would help if the system was improved and simplified though. Because of the skyrocketing prison numbers in America, overcrowding is becoming an issue that’s hard to ignore. There simply aren’t enough places for all the people who are being sent to prison, and this might be linked to harsher rules meaning prison sentences are being given for crimes that wouldn’t previously have warranted such a punishment. Whatever the causes, it’s a problem that needs to be addressed. 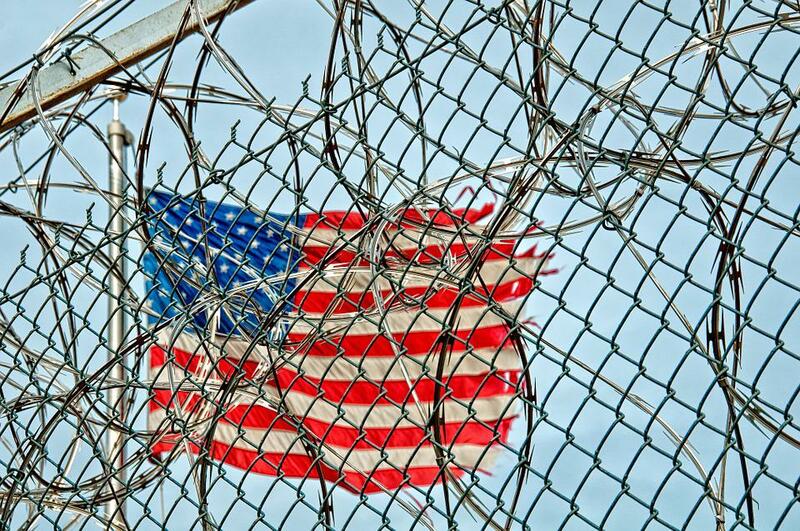 The American prison system is not in the healthiest state right now, and even compared to 30 years ago, the situation is far, far worse. It will take root and branch reform to overcome these problems because they’re truly systemic right now, but it remains to be seen whether there is the motivation there to make it happen. Remember when you were a kid and you didn’t have a care in the world? Your primary objective in life was to have fun and be happy, so why does that change as you get older? From dealing with stresses in work to problems in your personal life, can get very tough indeed. Why not step back to your childhood and take some time to have some fun to let your worries disappear, even if only for a short period. Here are some great ways to find the fun again. What was your favorite board game as a kid? Operation? Monopoly? Whatever it was, dig it out and get playing. Playing board games has a surprising number of benefits for your health, including helping your memory, reducing blood pressure and reducing stress. Get your friends or family together to enjoy a night of playing classic board games and relax as you find yourself in a familiar routine. Were you into skateboarding as a kid? Or maybe it’s something you’ve always wanted to try but never got round to doing? Skateboarding can be a fun hobby and a convenient way to travel - it’s not uncommon to see commuters using their skateboard to get to work! Give yourself a workout and have fun at the same time - Cruiser skateboards are sleek and easy to carry round to help you rediscover your lost youth. Get riding and blast past all of your problems and worries. It’s very difficult to be miserable around puppies, as they’re full of energy and keep you on your toes. Even if you can’t get your own puppy right now, there are plenty of shelters who are looking for volunteers to help out or opportunities to help with dog walking. Help a friend or relative to take care of their dog and you’ll soon find your stresses disappearing as you enjoy the company of some four-legged friends. Cartoons were the perfect way to chill out when you were a kid, but when was the last time you watched a cartoon? Whether you rediscover some old classics (YouTube is great for this), or take a look at some new cartoons, you’ll soon be laughing away. Think you’ve grown up out of classic kids cartoons? Try adult-oriented cartoons like Family Guy and The Simpsons instead. Having hobbies benefits you in many ways, and by finding something that you love to do in your free time, you can enjoy an escape from it all while you get active or creative. From adult coloring books to joining a sports team, there are plenty of options available to you that will help you discover a fun new hobby. When you’re going through a tough time or need a break from it all, looking for fun things to do can soon lift your spirits. Think of activities that make you laugh and smile and you’ll soon ease your stresses for a much more relaxed and happier you.